A month ago I tried to install the linux wallet on my phone (which runs a debian distribution) but I couldn't do it. I think the N900 is a real king. I own two of them and I plan to buy another one soon. Good for you, the N900 is an awesome phone, I used to have one, but the USB port fell off and I resoldered it a few times, but eventually it just gave in. Cool! It never even occurred to me- staking on a Linux phone will be way cheaper than some DigO or AWS VPS! Finally a good reason to get one! I think Chrome is a decent browser and far better than Internet Explorer/Edge. Personally, I like Firefox best. Also, I have to agree with the other that have posted about Google prying into our privacy as they have truly become an unregulated technology company monopoly. You also have access to websites that are blocked in your country. Last, I recommend Tails which is a bootable image. It appears to be OK but deep inside I have a fear so I don't use it to pay by credit card, check emails etc. haven't tried it for quite some time- they initially called it 'xxxterm' - until they realized the amiguity of that... lol! I do not like the new logo! Am I the only one, who is bothered about this? The color orange is not adequate IMO for a "dark" coin, should be rather blue or similar (blue-green?, blue-black?, blue-violet? ), dark color anyway, orange is too "bright" (just my personal taste). The form of the logo will hardly be recognized this way. The "recognition value" is maybe not very high. Could anybody explain me the meaning of these curves? The old logo was better, please switch back or choose a better one. Like BTCD anyway. Strategy is good and we will succeed. Logo - abstract but still readable as B and D, black outer curve symbolizes the teleportation process. These are only raw drawings made in 5 minutes in paint. This is not a professional picture and I'm not a graphics designer. A good and creative graphics designer could make it lots better using some effects. I would prefer Blue = "Trust, dependable strength"
Has always been blue, why disturbing users? I think the colour is good. But I do enjoy fanta and orange crush so perhaps I'm biased. The logo looks like it already incorporates the B and D but just not so obvious. I don't believe BTCD is meant to attract and primarily be used in 'dark' markets or want to give the impression that it is all it can be used for. It's much much bigger than that. I don't believe BTCD is meant to attract and primarily be used in 'dark' markets or want to give the impression that it is all it can be used for. After the renaming of Darkcoin into Dash BitcoinDark is the last big resort of darkness. Dash/darkcoin has made many things fine, good logo, good functions... but the name is a disaster! I strongly hope the team of BTCD does not plan to rename BitcoinDark! (cause the name is exciting good!). BTCD could be the only "dark" coin! It's a chance. My take on the new logo. 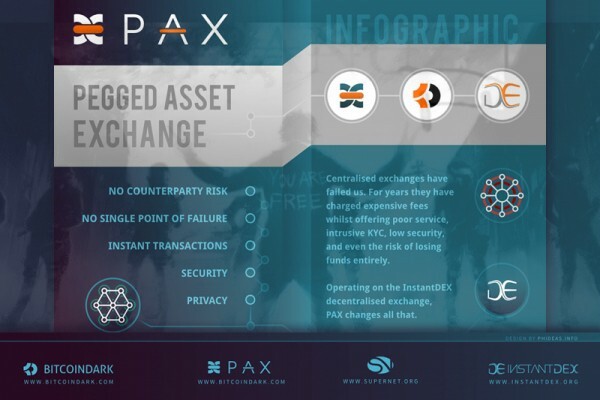 If you compare this logo with the logo from instandex and the Pegged asset exchange it's even in comparable styles. I like the new logo/colour, I find it better than the previous one. I like the new logo too. I don't think BitcoinDark is only for 'Dark' purposes at all. It's a private investment, and an extension of Bitcoin. I don't think BitcoinDark is only for 'Dark' purposes at all. It's a private investment, and an extension of Bitcoin. Thank you James for the work you did and you still do! Hard to say if that's the end but I'm pretty sure that they won't survive. Nice payout with E9 and CORE funds being added to MMBTCD this week. Thanks for staking and supporting the BTCD network!